Stealthy Mom: Meet the Food Truck! This morning, I loaded up the kids and drove an hour and a half to a church parking lot at the north end of Omaha. About a dozen other vehicles were already parked there, and more were arriving. Cars, pickups, and minivans. A few small children toddled around the parking lot, staying near their chatting moms. G-man and the Cadet could not wait to get out of the car to join the growing crowd of people milling around. From appearance only, one could say it was an eclectic bunch: retirees, farmers, young men in business suits, mothers, and kids from infants to teens. For some, this was an old routine; for others, this was their first shipment. Once we were packed, we said our good-byes to the people we had been chatting with. The kids climbed back into their seats, I buckled them in, and off we went. Soon the parking lot would be deserted as people left with what they came for. We came for produce. Fresh, ripe, in-season organic produce distributed by a company called Azure Standard. Our boxes contained apples, cucumbers, grapes, celery, leeks, sweet potatoes, potatoes, a cabbage and tree-ripened California oranges. There were soft, fresh Thompson raisins in one of the boxes and a bottle of Life Tree Home Soap tucked into another. Azure's printed catalogue is about an inch thick, offering bulk foods, natural household products and seasonal produce at the same price as (or sometimes less than) the conventional produce at our local grocery store. In prior shipments we have brought home fair trade cocoa, bulk almonds, pineapple rings, essential oils, and non-GMO masa. The available produce constantly changes according to what is in season; this spring was the first time I had ever enjoyed a tree-ripened pineapple. Azure's delivery system is not like your typical grocery store's. They have semis on routes going all over the continental United States that drop off directly to customers, either as individuals, buying clubs or retailers. If there are enough committed customers, a drop point along one of the routes can be established. (There is a route that is much closer to our home; I am trying reach out to others in the area so we can have a drop point, too.) The cutoff for ordering is about a week before the truck arrives. The day before the truck departs on the route, your order is packed with the freshest food possible. Fruits are not shipped "green" to be gas-ripened at a warehouse but are instead naturally ripe and sweet. As soon as we got home, the boys and I excitedly dug into our boxes. 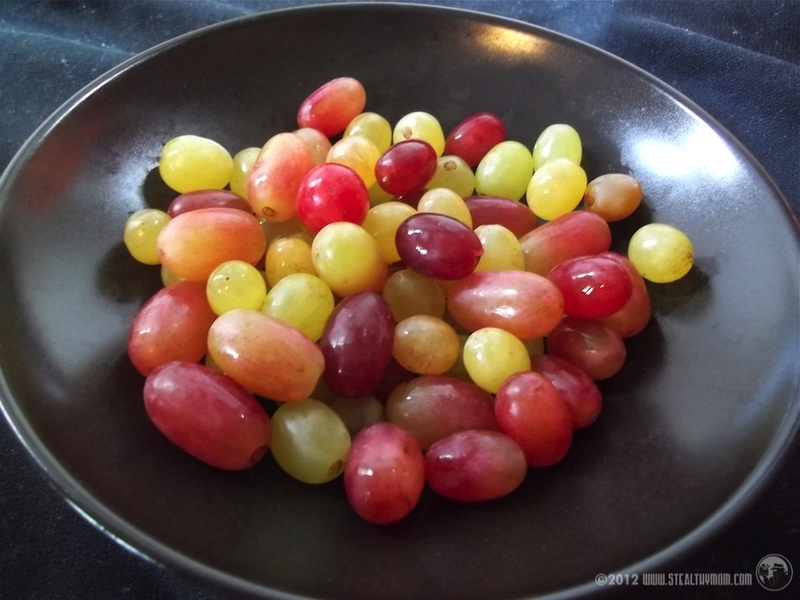 They ran off with handfuls of grapes as fast as I could rinse them. If you have never heard of Azure Standard, their online catalogue is worth a peek.